Pass the love on with a sweet little indulgence that shows the ones you cherish just how much you really care. 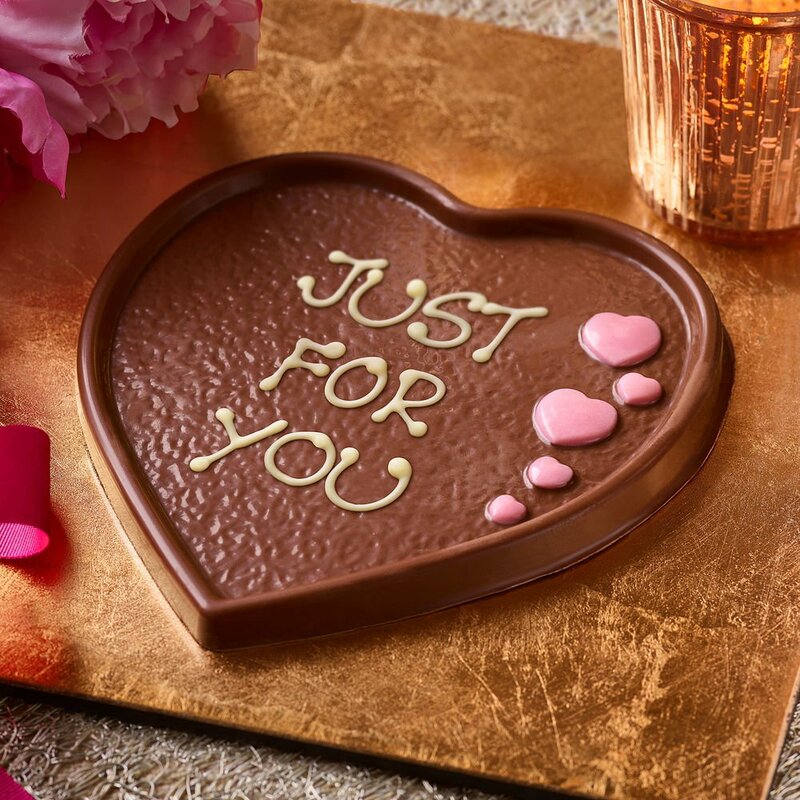 Made from our beautifully smooth milk chocolate and finished with a flourish of pink, this heart shaped plaque can be personalised with your own very special message. £8.